Accurate positioning and robust performance of the optics in the mechanical environment. 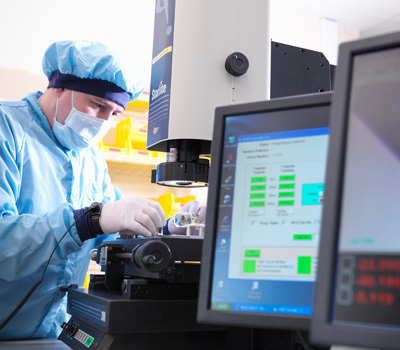 Reliance supplies custom-built opto-mechanical assemblies, from static, mounted optics to optical components fully integrated within a moving mechanical assembly. We work closely with customers and industry-leading optics suppliers in order to understand the application for each assembly. By fully appreciating the inter-working of the optical and mechanical elements we are able to ensure the accurate positioning and robust performance of the optics in the mechanical environment. 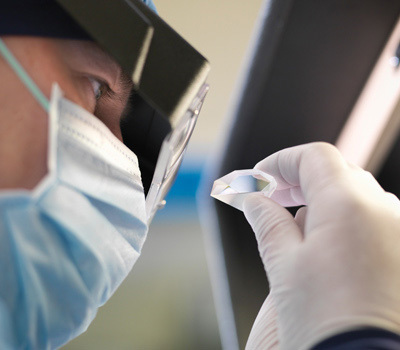 All optical integration projects are undertaken in a dedicated cleanroom facility, adhering to the necessary disciplines and processes appropriate to working with precision optics. The cleanroom is certified to ISO 7 (Class 10,000), supplemented by laminar flow cabinets to ISO 4 (Class 10), together with certification to BS EN 61340 ensuring effective protection for sensitive electronic devices against electro-static discharge. The cleanroom is completely paper-free; all operations are managed via a suite of in-house designed software applications, using the very latest wireless computing technology. Upon receipt, “scratch” and” dig” inspection of the optics is undertaken in accordance with ISO 10110. Inspection is as per customer requirements, either sampled inspection or 100% of received components. 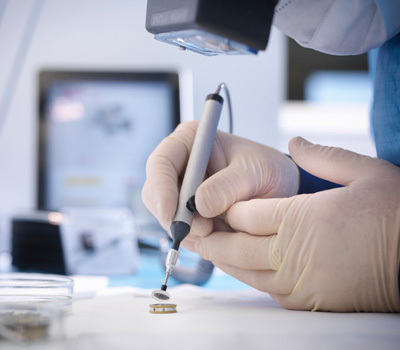 Our disciplines, procedures and equipment are customer-approved to ensure the optical components are not subject to latent failure during their working operation. Non-contact handling and measurement devices are used, including vacuum pens and optical CMM equipment. The cost of quality is a critical consideration when integrating mechanics and optics; the optical devices are highly sensitive to contamination and it is essential that appropriate equipment, production methods and test facilities are in place. Bespoke tooling and test equipment is designed and manufactured in-house, ensuring accurate positioning of optics to +/- 0.05mm, and assembly disciplines are carefully controlled in order to protect the optic coatings. Adhesive capabilities include both UV curing and semi-rigid epoxy bonding. Vacuum de-gassing ovens are used to protect the assemblies from out-gassing when in use, which may cause performance degradation in laser based systems. 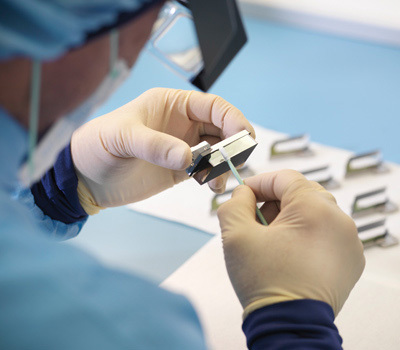 Testing is undertaken to customer specification, checking the movement of the optic as part of the overall mechanical assembly, including verification of optic positioning and optic movement. Assemblies are packed in a controlled clean environment, supplied in high integrity packaging, and delivered directly to the point of use, from cleanroom to cleanroom, straight into the next stage of the customer’s assembly process.